When you’re moving around the holidays, there’s a lot to take into account. First, there’s gifts, dinner parties, and other holiday celebrations. Second is moving all your things from one place to another. All cases are stressful enough to endure, but when you have two, it’s another ball game. So what do you do to ward off the pressure? We’ve come up with a holiday hassle-free move to ditch the stress and send you on your merry way! When you’re in the middle of moving, you’ll realize that less is better! So, discard all your unwanted things and give them away! You’ll save yourself the trouble and even money. If you’re not interested in donating your stuff, you can decide a garage sale. It’s a quick way to make a buck without having to take a trip to your local donation center. Book your move ahead of time. Moving companies may have shorter business hours because of the holidays which may fall short on your end. Give yourself a favor and reserve as soon as possible. When you do this, you want to get the best moving company in town. Do your research before anything else. Also, don’t skip the insurance. You want to protect all your belongs when you’re moving any time of the year. This might be one of the most difficult tasks to do during the holidays. 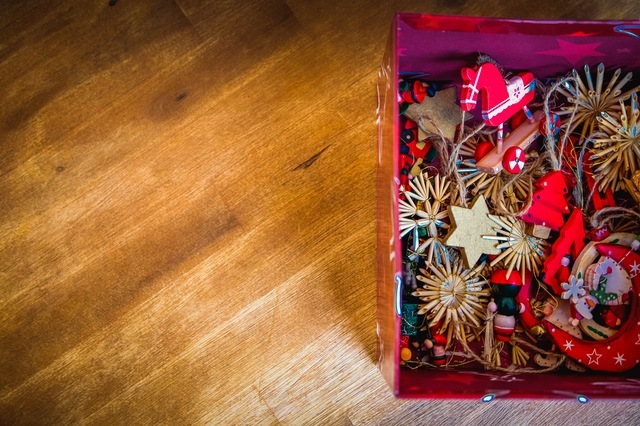 Setting up your accumulated holiday decorations might be tempting, but keep it minimal. Instead of buying a fresh Christmas tree, opt for a plastic one because it’s easier to stow away. There’s no reason to go all out this year when you’re in the middle of a move. Things will be messy, and you want to make it easier for yourself. This time of the year, hold off on unpacking all your things until the holidays are done. Again, keep everything to a minimum. Instead, unpack the ones that you need like small decorations when you host Christmas dinner. Above all, enjoy the holidays!